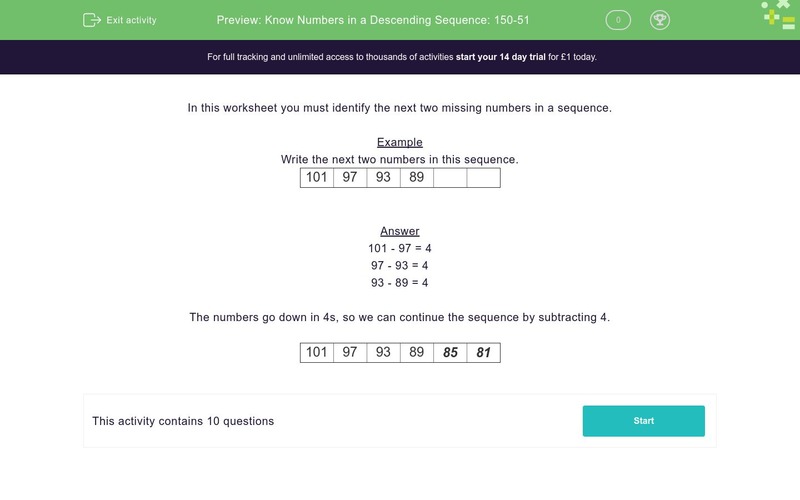 In this worksheet, students write down the next two missing numbers in a descending sequence of numbers. In this worksheet you must identify the next two missing numbers in a sequence. Write the next two numbers in this sequence. The numbers go down in 4s, so we can continue the sequence by subtracting 4. Write down the next two numbers in this sequence.